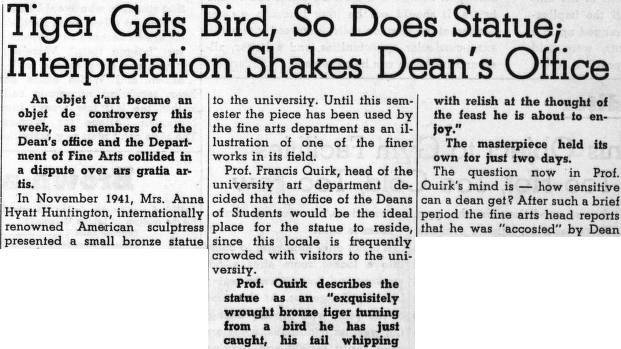 We came across this article discussing a minor controversy regarding a donated sculpture's placement at Lehigh University in a 1951 issue of the Brown and White. Quirk is both well-spoken and has a healthy edginess in this tongue in cheek piece. 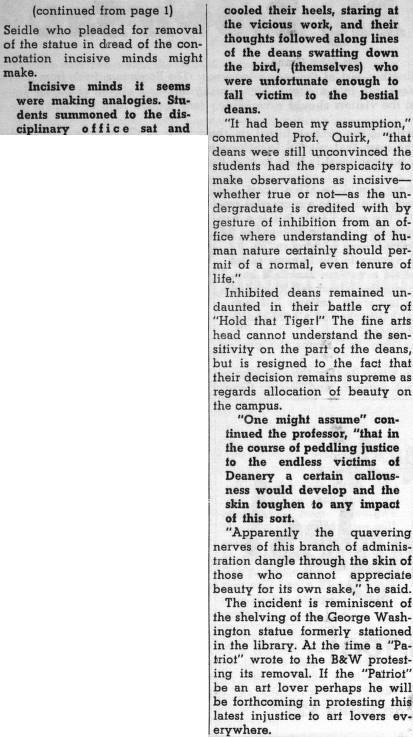 November 2017- As we have been engaged in a more thorough review of the Brown and White Files and their mentions of Francis Quirk, we have uncovered yet another reference to this controversy. 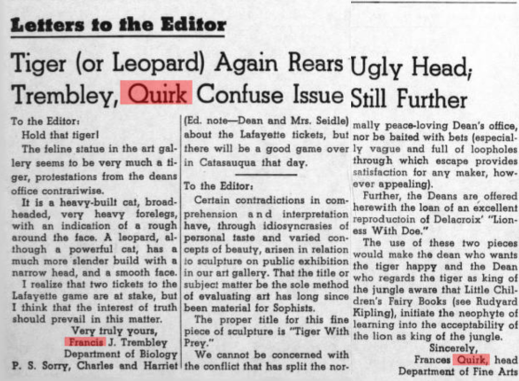 It includes a Letter to the Editor by Professor Quirk. 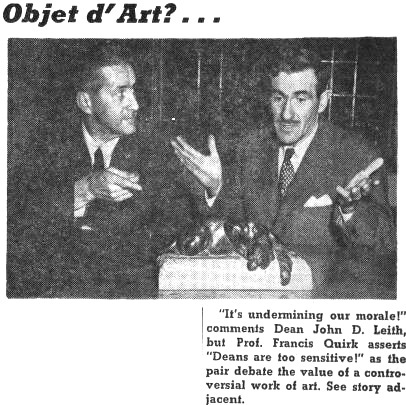 We have pasted it below for completeness.